You are here: Home / News / Florida State athletics continues to be a magnet for racial controversy. Florida State athletics continues to be a magnet for racial controversy. (ThyBlackMan.com) During his Beyond Vietnam speech, Dr. Martin Luther King, Jr., once said, “I am nevertheless greatly saddened, for such questions mean that the inquirers have not really known me, my commitment or my calling.” He was referring to why many people questioned why he was so publicly against the Vietnam War but his words could also refer to how many view him in mainstream media since his death as the radical Dr. Martin Luther King Jr., is often not the one that is presented to the mainstream public. Those words about not knowing King could also apply to Florida State University athletics, who committed a terrible social media faux pas during the Martin Luther King, Jr. holiday on January 21, 2019. It should not be too surprising for an athletic program that has had a history of attracting controversy regarding racial issues. Of course, the image raises numerous questions about who greenlighted the idea to put together the image as a recruiting tool and the photoshopped image itself. Using Dr. King to promote a school’s football program is problematic for numerous reasons besides the fact that college football players don’t get paid and he was very much pro-labor. While Martin Luther King, Jr. is most known for fighting for black civil rights and economic justice, he likely would have a problem with Florida State’s longstanding use of Native American mascots and nickname so the “Tomahawk Chop” image is very troubling as well. King made it clear that, “our nation was born in genocide when it embraced the doctrine that the original american, the indian, was an inferior race.” Although Native Americans being used as sports mascots has become normalized in the mainstream, there are still plenty of issues and protests due to the use of Florida State University turning the Seminole tribe into a mascot. Florida State football also had one of its most disappointing seasons in school history in 2018 under new head coach Willie Taggart. Taggart, who has had notable success as a head coach at Oregon and South Florida, is one of the small number of black head coaches at a school with a quality college football history. However, after a 5-7 season that led to Florida State missing a bowl game for the first time in over three decades, a Florida State fan posted a social media antebellum image that showed Taggart’s face atop the body of a black man hanging from a tree. This disturbing image of the first black head coach in Florida State football history led to the firing of that fan from his job as a hotel employee. 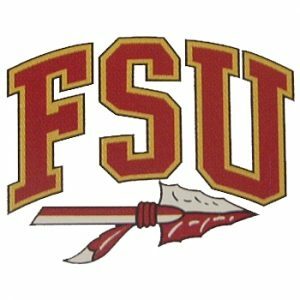 Whether it is the racist nickname, mascot, or the racism facing their football coach, Florida State University has some work to do.